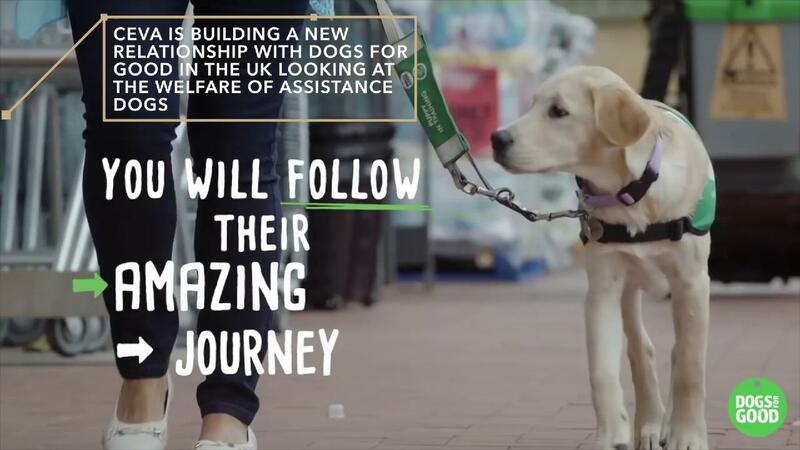 Living up to its “Together, beyond animal health“ vision, Ceva has recently embarked on a major new long-term partnership with the UK charity Dogs for Good. The charity enables adults and children who live with a wide range of physical and mental health issues to live more fulfilling and independent lives through carefully planned interventions with dogs. 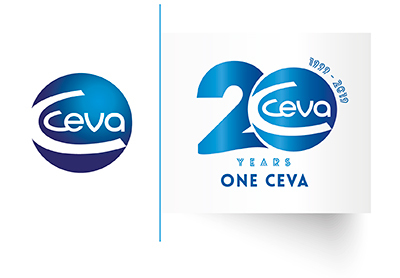 This exciting new partnership will see Ceva provide financial, practical and moral support through a coordinated program that aims to help Dogs for Good transform the lives of even more people in the future. For 30 years Dogs for Good has brought greater independence and companionship to many people through partnerships with highly trained assistance dogs. Building on their experience of training and working with assistance dogs over the years inspired them to explore other ways dogs can help individuals, families and communities. Today Dogs for Good uses creative and inspiring partnerships between people and dogs to meet the diverse needs of those with physical disabilities, learning disabilities, autism, dementia and those living the after-effects of stroke and other debilitating diseases. For people to meet their responsibilities and understand the role of the dog as a companion and co-worker they need to have the most up to date information covering the basics of healthcare, socialisation, behaviour, social networks and canine cognition amongst other topics. We have a growing responsibility to provide this information within our own sphere of operation but it is clear that the information would be of interest and value to the wider world of those living and working with dogs. Those searching for this information can find a plethora of fragmented and disjointed sources of information which are usually slanted to reflect the interests of the providers. While an excellent information service concerning cats is provided by International Cat Care, no such database of information, pulled together and accessible in one place, currently exists for dogs. we are especially keen to support their pioneering work with families with autistic children. One way that Dogs for Good provide support to families with a child with autism is by providing fully-trained assistance dogs. These dogs can make a huge difference to the lives of families with a child with autism but training the dogs takes nearly two years and is expensive meaning only a limited number of families can benefit. Ten years ago, the charity began to realise that perhaps not all children with autism needed an assistance dog; simply having a well-trained pet dog in the home might also be beneficial. Dogs for Good therefore teamed up with the National Autistic Society and the University of Lincoln for a three-year research project investigating how dogs can affect children with autism and impact on the family unit as a whole. The University of Lincoln’s Dr Daniel Mills, who specialises in animal behaviour and in exploring the potential benefits of keeping animals, is an old friend of Ceva. The project’s research findings provided a solid foundation on which Dogs for Good built their Family Dog Service. The result is that the charity has been able to support many more families with a child with autism: while Dogs for Good has provided around 80 fully-trained assistance dogs, they have helped some 800 families benefit from pet dogs through their Family Dog Service. Children with autism tend to be anxious, can be withdrawn, often display repetitive behaviours and are prone to ‘melt-downs’ when they become overwhelmed by their surroundings. The presence of a well-trained pet dog can help them feel much less anxious, encourage them to become more engaged and motivated, can disrupt repetitive behaviours and generally promotes a calmer environment that benefits the whole family both in the home and outside. Going forward, one area in which Ceva hopes to support Dogs for Good is in developing an online learning resource so that even more families with a child with autism can enjoy the benefits that a carefully chosen and properly trained and managed pet dog can bring.